Based on the millions that viewed the movie upon release, Finding Dory is a much loved children’s movie that follows up on the original Finding Nemo story. Kids everywhere rooted for Dory to find her parents. 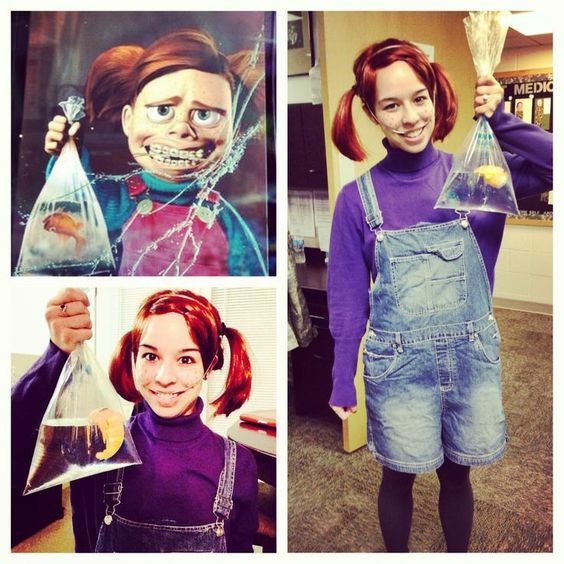 The love of the character as well as the theme touched hearts everywhere and created a must-have drive for costumes featuring the characters in the movie. 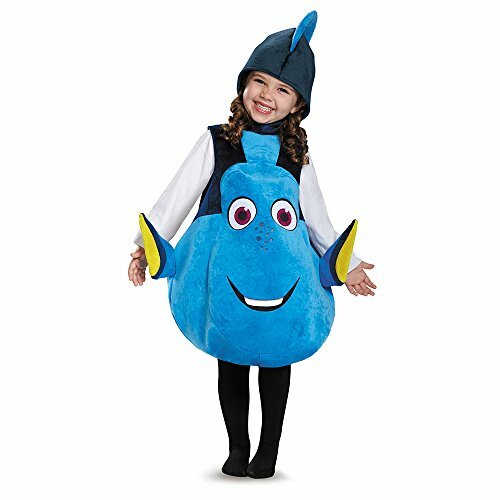 The most sought after costume from the movie is Dory herself. 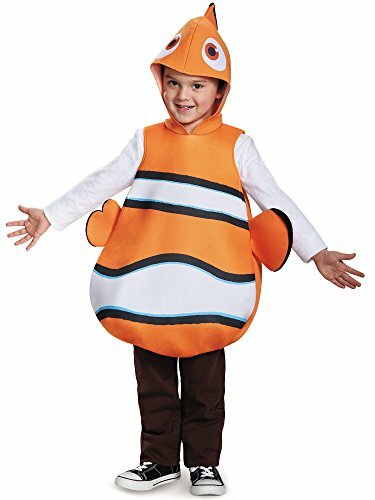 This forgetful little blue tang fish makes a lovely costume for children. 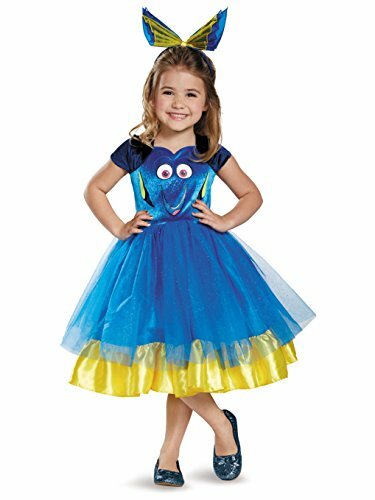 You can find some that are made of a beautiful blue dress with the wide-eyed fish character featured front and center in the middle of the costume to make your child’s night special. One dress comes with a black petticoat that’s made as part of the costume so it doesn’t detach. This polyester material costume has the whimsical tail attached to the back of the dress. 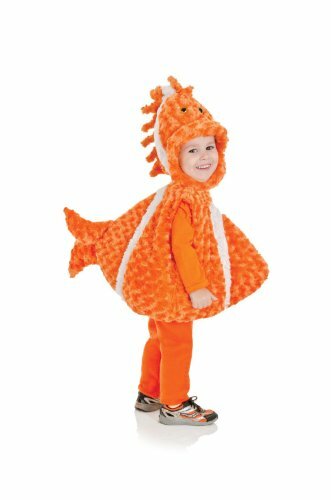 To complete the fins just like the character has, these costumes come with arm warmers that include yellow fins attached to them. The arm warmers are done in the same color as the dress. The headband piece that features the large bow often comes with the outfit. Also included in your purchase are a pair of tights that have bubbles on the material. 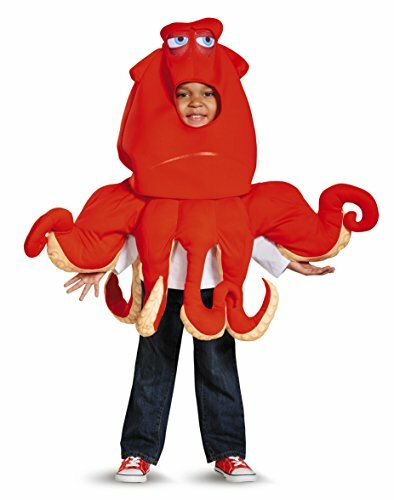 Your child will adorable in this costume. Shoes don’t come as part of the costume. 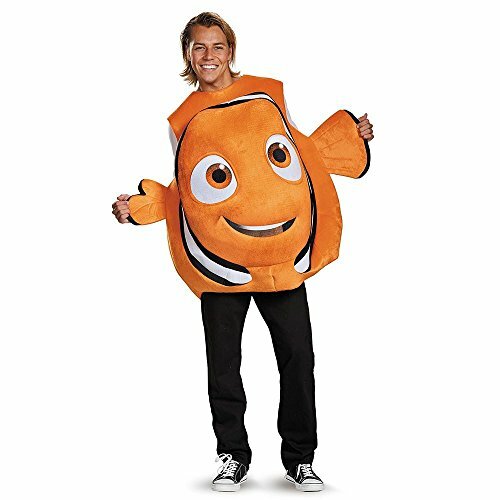 Of course, one of the other popular costumes in Finding Dory is the much loved character of Nemo. These costumes aren’t going to stay on the shelf long thanks to the sheer number of kids clamoring for them. 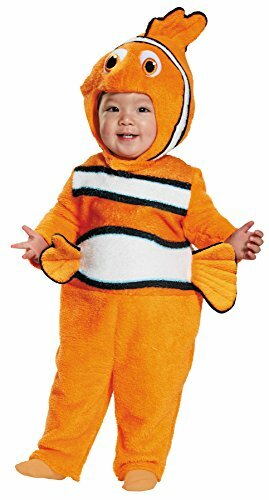 You can get a version of this lovable clownfish for your child, but you’ll want to do it fast. This costume is a tunic that comes down to just below the child’s waist. It’s done in an orange color and features a white stripe in the center of the tunic as well as at the hem and the collar. The top and bottom of the white stripe is lined with a black stripe to mimic the clownfish markings. This tunic doesn’t hang shapeless – thanks to the stuffing that’s designed to help it keep its form. It does have the fins with the tunic and those are not detachable. 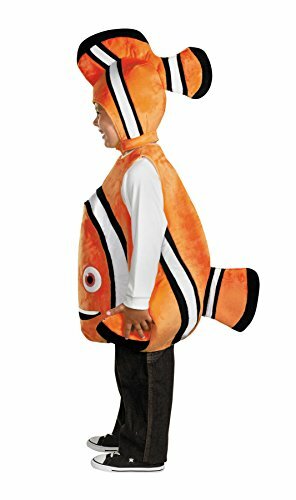 The costume has both side fins as well as a back one. The hood of this tunic is attached and has the facial features of Nemo. 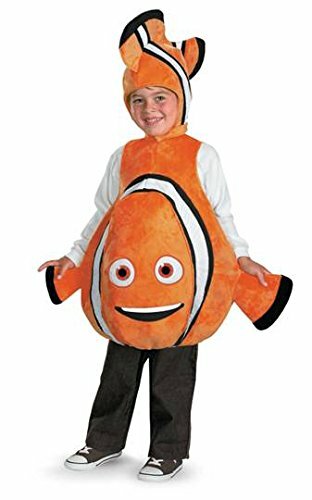 Like the tunic, the hat also has stuffing to help it continue to hold the shape of Nemo. There’s a fin on top at the back of the hood. Because of the stuffing, you can only hand wash this costume if it needs cleaning. 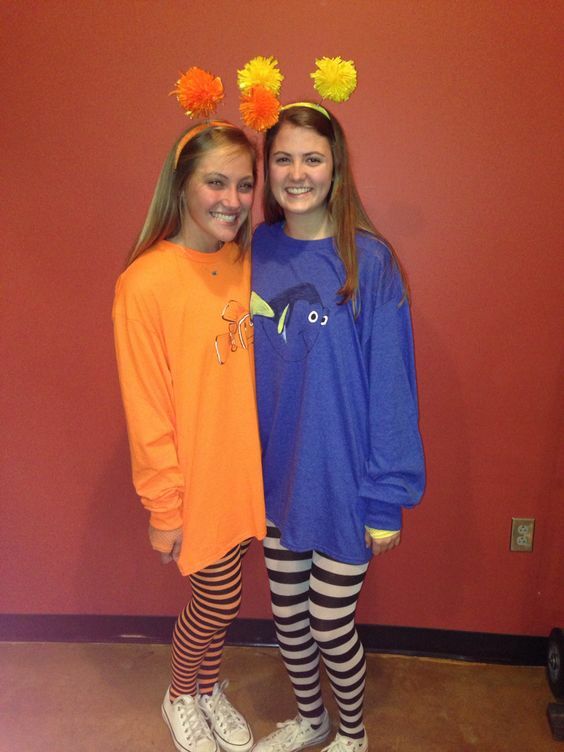 The shoes and pants don’t come with the purchase of this costume. Here are some ideas I have found around the web that show you what can be done at home. Very effective. 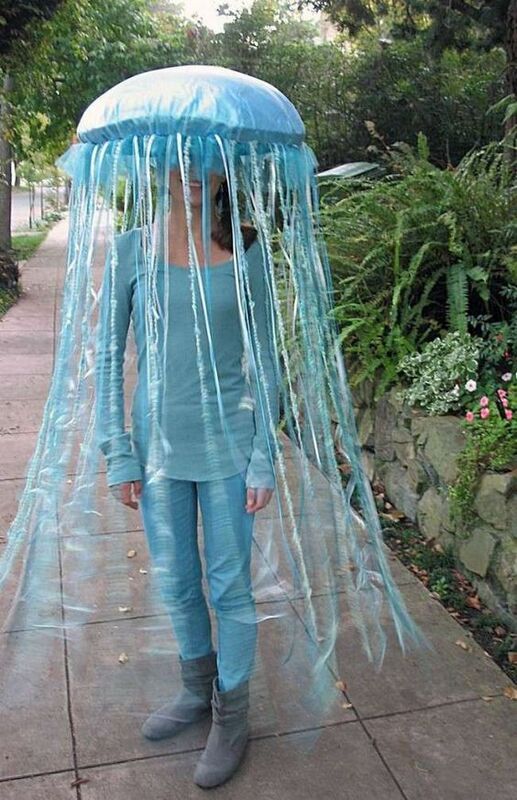 Clever Finding Dory Jellyfish Outfit using a see-through umbrella. Very effective. 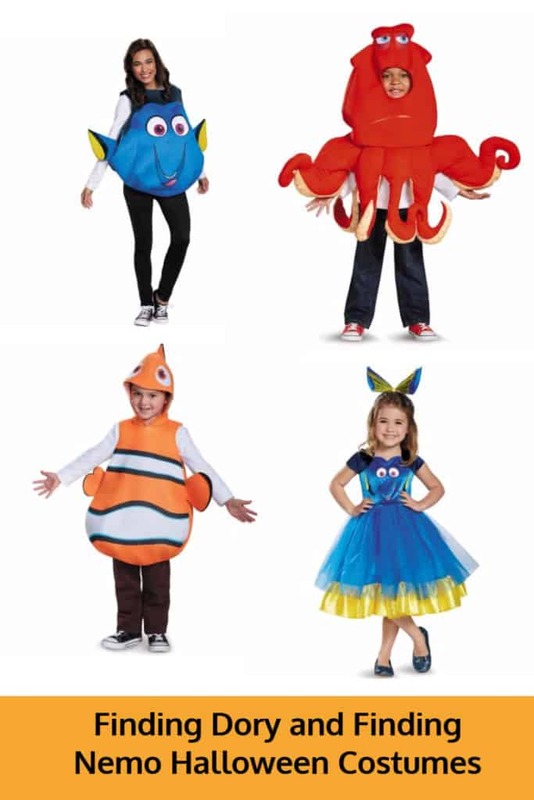 I love these Finding Dory and Nemo Costumes. This is a great idea for best friend or sisters. Easily achieved by buying an oversized sweatshirts with Nemo and Dory logos and pair with stripy colored tights. 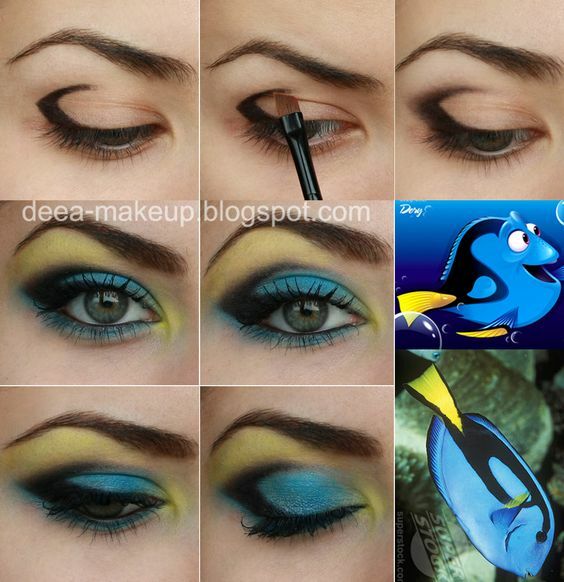 Beautiful Finding Dory Eye Makeup I just love the bright vibrant colors. 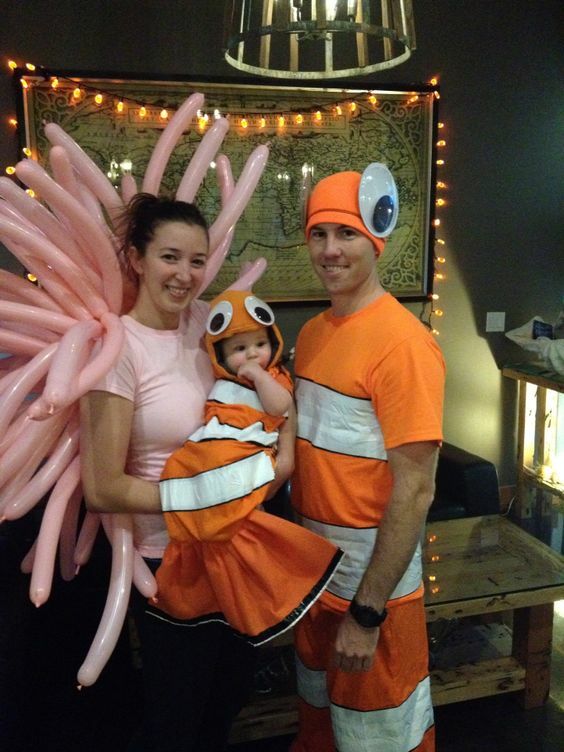 I love this Finding Nemo Costume set up that is just perfect for a couple that have a young baby. 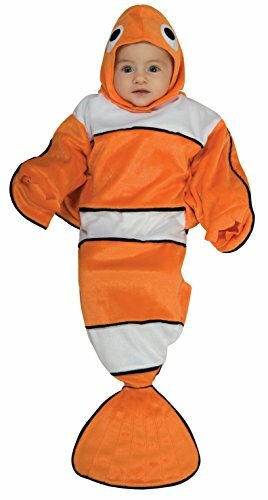 The baby is dressed up as Nemo and Mum is the anemone. The fronds of the anemone is made up of light pink sausage-shaped balloons. Darla Sherman is a great idea for a Halloween costume. Easy to achieve by buying a set of toy false teeth with a brace, put your hair into pig tails and find a suitable T-Shirt. Then find a Nemo toy and put him into a plastic bag….poor little Nemo. 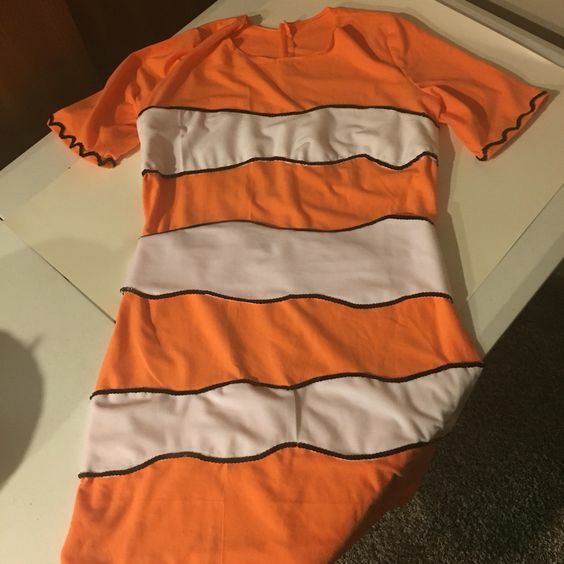 Great idea for a ladies Nemo dress. 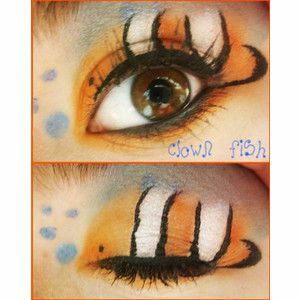 Gorgeous Finding Nemo clownfish eye makeup.